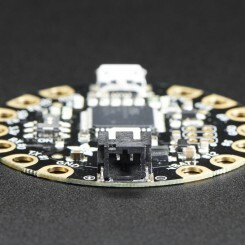 FLORA is Adafruit’s fully-featured, Arduino compatible wearable electronics platform. 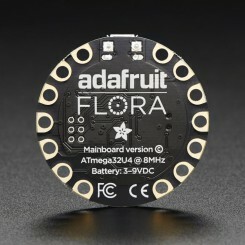 SKU: ADAFRUIT_FLORA. Category: Arduino Related. 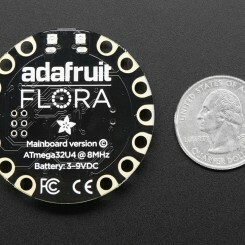 Tags: Adafruit, arduino, flora, wearable. 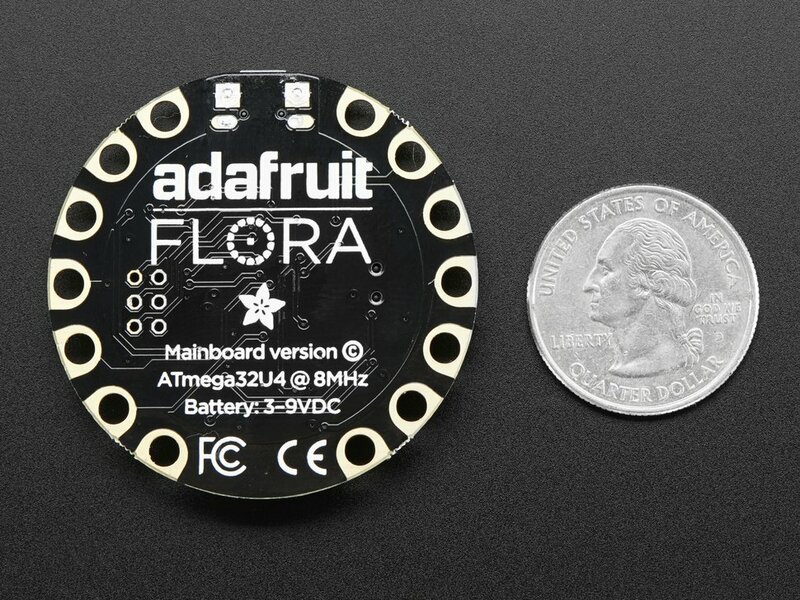 FLORA is Adafruit’s fully-featured wearable electronics platform. 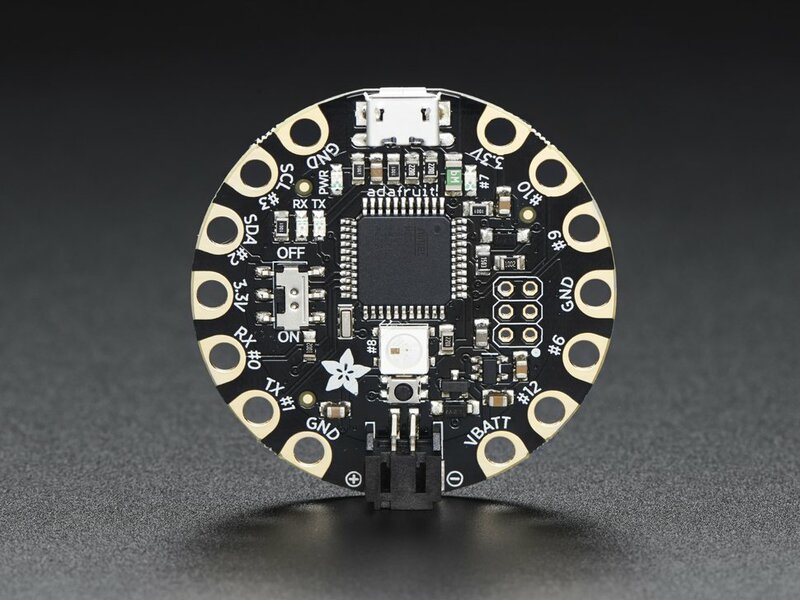 It’s a round, sewable, Arduino-compatible microcontroller designed to empower amazing wearables projects.FLORA comes with Adafruit’s support, tutorials and projects. 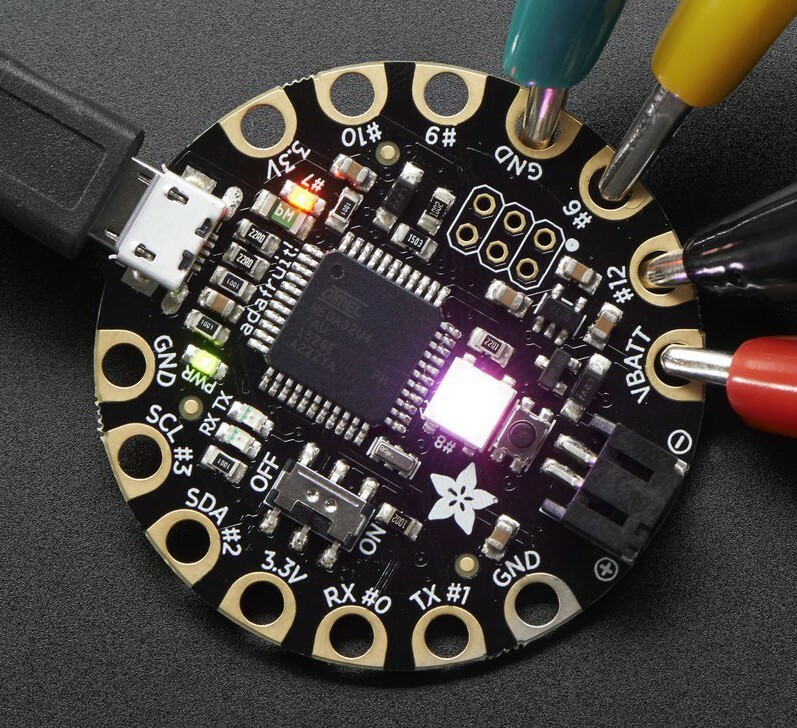 Check out dozens of FLORA tutorials on the Adafruit Learning System, with more added all the time! The FLORA is small (1.75″ diameter, weighing 4.4 grams). 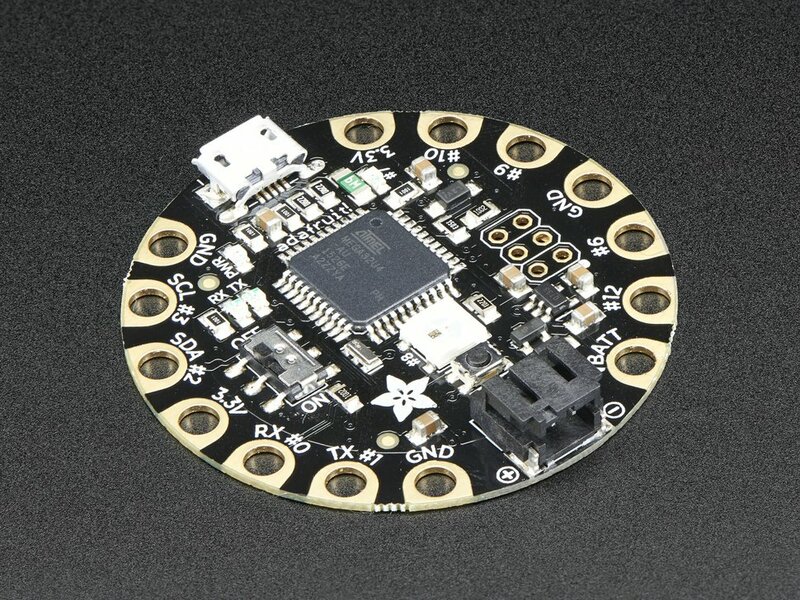 The FLORA family also has the best stainless steel threads, sensors, GPS modules and chainable LED NeoPixels, perfect accessories for the FLORA main board. The FLORA has built-in USB support. Built in USB means you plug it in to program it, it just shows up – all you need is a Micro-B USB cable, no additional purchases are needed! 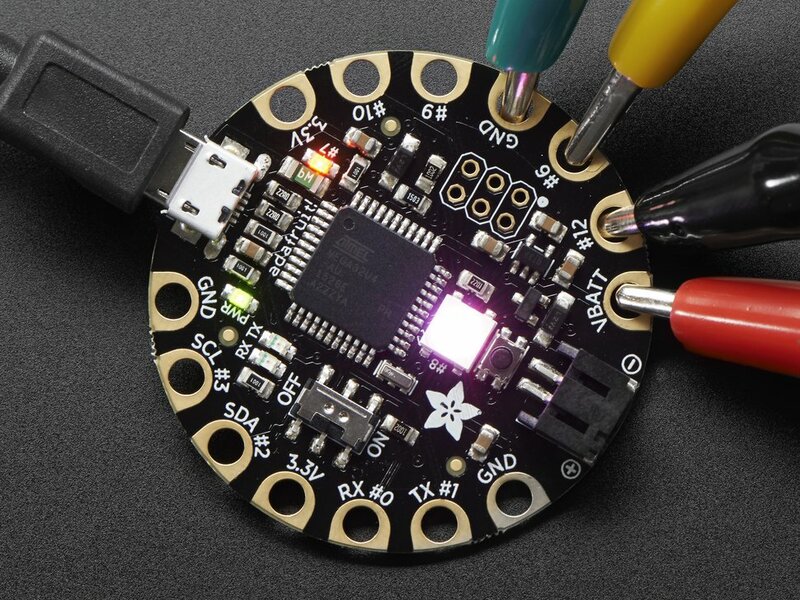 Adafruit has a modified version of the Arduino IDE so Mac & Windows users can get started fast – or with the new 1.6.4+ Arduino IDE, it takes only a few seconds to add Flora-support. The FLORA has USB HID support, so it can act like a mouse or keyboard to attach directly to computers. FLORA has a small but easy to use onboard reset button to reboot the system. The power supply is designed to be flexible and easy to use. There is an onboard polarized 2 JST battery connector with protection schottky diode for use with external battery packs from 3.5v to 16v DC in. Can be used with LiIon/LiPoly, LiFe, alkaline or rechargeable NiMh/NiCad batteries of any size. The FLORA does not have a LiPo charger included by design, this allows safe use with multiple battery types and reduces risk of fire as it is not recommended to charge these batteries on fabric. 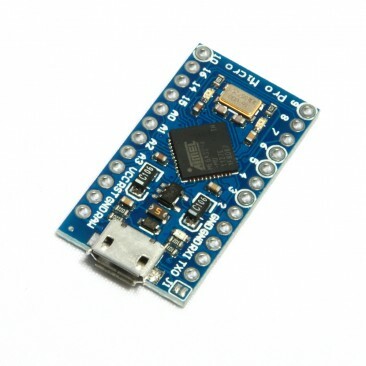 Adafruit suggests one of their micro-lipo chargers if you want to use LiPo batteries with FLORA. FLORA is fabric friendly– all the components on board are flush to the PCB and won’t snag delicate garments (it does not use FTDI headers). 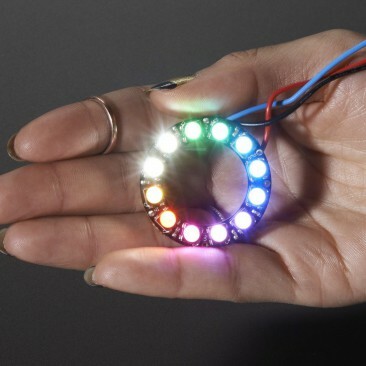 FLORA is extremely beginner-friendly – it is difficult to destroy the FLORA by connecting a battery backwards due to polarized connector and protection diodes. The on-board regulator means that even connecting a 9V battery will not result in damage or tears. 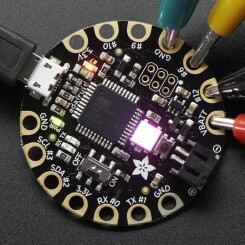 The FLORA has 4 indicator LEDs: power good, digital signal LED for bootloader feedback, data rx/tx. Also onboard is an ICSP connector for easy reprograming for advanced users. Flora v2 even has an RGB NeoPixel for even more colorful lighting. 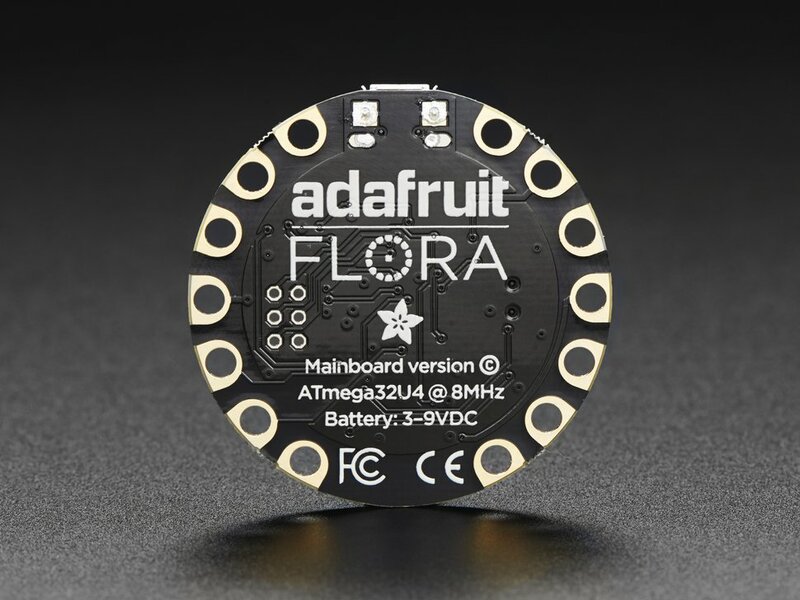 As of July 7 2016 Adafruit is now selling Flora v3 with alligator-clip friendly pads. 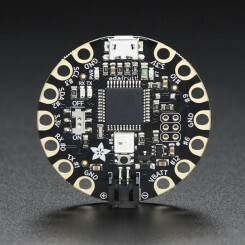 The FLORA is made in NYC at Adafruit, it was designed by Limor Fried (Ladyada), Adafruit’s founder and engineer. 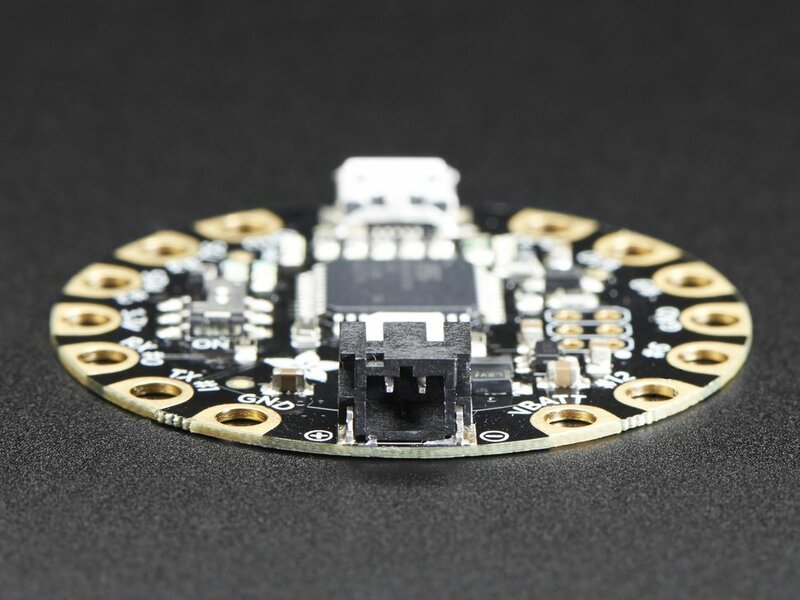 Adafruit has a proven track record of providing 100+ high-quality libraries for Arduino/Arduino IDE, hundreds of tutorials, open-source code and contributions to the Arduino project. Ladyada was a member of the MIT wearables group and likes to sew.